We are a UK-based Scottish Charitable Incorporated Organisation and registered charity working to raise the profile and support understanding of cerebrospinal fluid (CSF) leaks. We also aim to provide support and advice for sufferers, their families and supporters, and a resource for the medical profession. A CSF leak is a serious and often incapacitating medical condition stemming from a tear or hole in the membrane that contains the fluid surrounding the spinal cord and brain. It can occur in the head or spine as result of trauma, surgery, an underlying disorder or spontaneously. When fluid leaks out at spinal level, pressure and fluid volume around the brain reduces (known as intracranial hypotension) which allows the brain to sag within the skull. As a result of this ‘brain sag’, sufferers often experience severe and unrelenting head pain, pressure, visual disturbances, hearing impairment, tinnitus, spasms, seizures and a wide range of other symptoms. Meanwhile, a cranial CSF leak can give rise to a variety of symptoms, such as headache, visual disturbance and changes to hearing or ringing in the ears, as well as external CSF discharge, commonly to the throat and nose. Meningitis risk is also elevated with a cranial CSF leak. 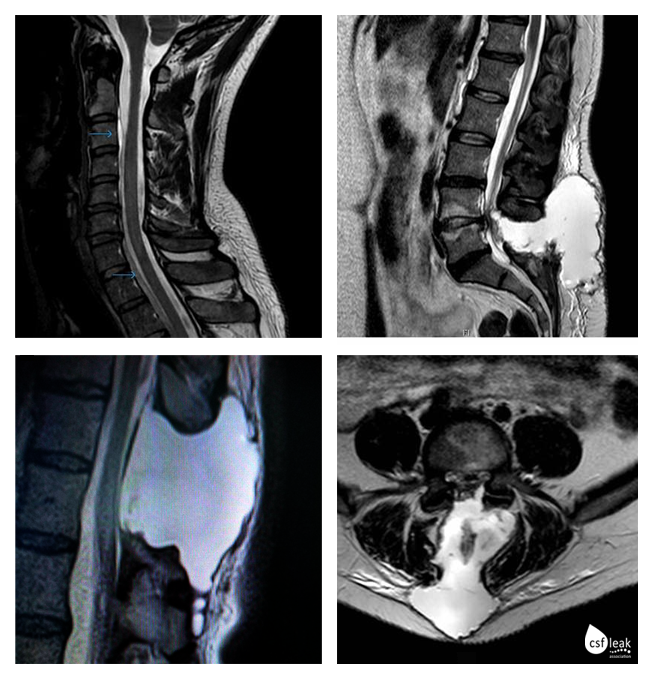 Research shows that at least 5 in 100,000 people each year are affected by spontaneous spinal CSF leaks alone, with many more suffering from iatrogenic or traumatic spinal and cranial CSF leaks. They are not rare, yet are generally under-diagnosed; misdiagnosis of migraine, sinusitis and other headache disorders is common place, and on average correct diagnosis for spontaneous spinal leaks takes at least 13 months from onset. Whatever the circumstances and severity of the symptoms, a CSF Leak can be painful, debilitating and life-changing. There is very little awareness amongst the general public and very little support for those in need. Our website is packed full of information and resources which we hope will help to raise awareness of CSF leaks (and the associated medical condition Intracranial Hypotension) and also provide access to much needed help, support and information for sufferers, their families and their medical teams. We do appreciate, however, that so much information can be a lot to take in if this is your first visit. 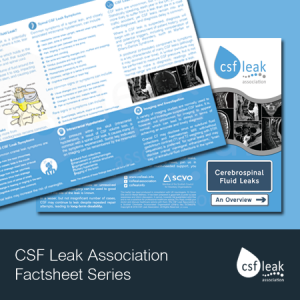 We therefore recommend that newcomers to the condition spend a little time dipping in and out of the ‘About CSF Leaks’ section and download some of the related factsheets, such as our terminology reference guide. 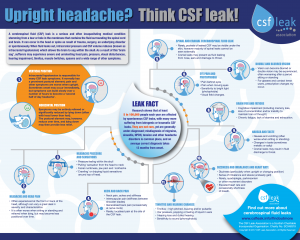 If you’re just passing through or you’re just looking for a brief overview of CSF leak, please feel free to download a copy of our Upright Headache? Think CSF Leak! infographic or our overview leaflet.